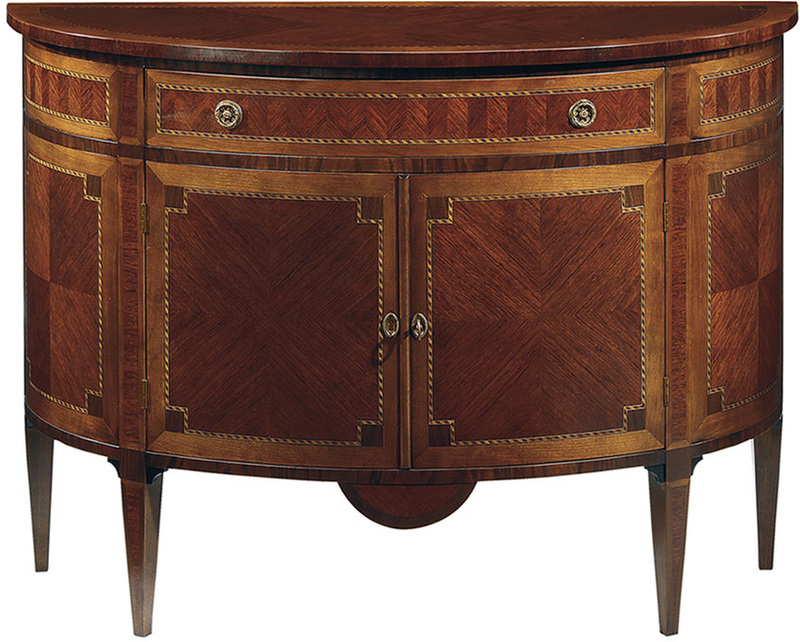 Louis XVI style two door half-round cabinet finished in mahogany veneer inlaid with maple, cherry and palissander. 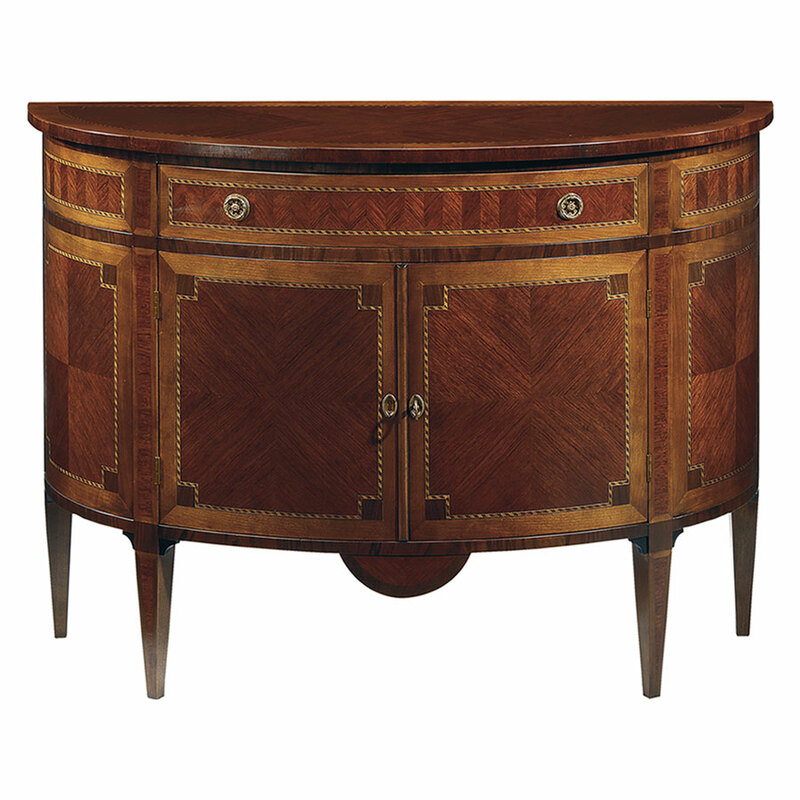 One drawer with antiqued brass hardware. Made in Italy.